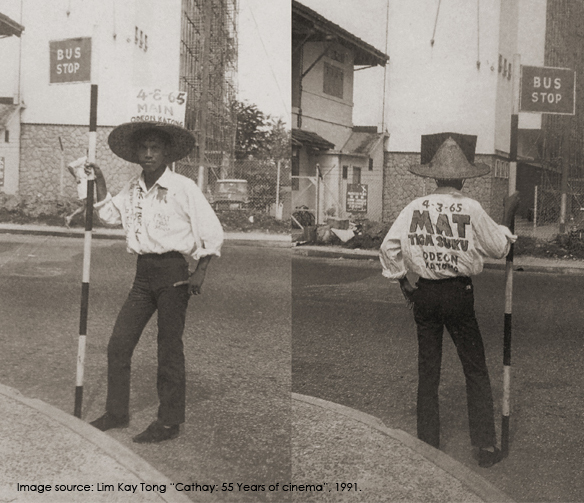 This entry was posted in 1960s, Cathay-Keris, Country of Production, Malay-language Films, Narrative Feature Films, Singapore Architecture, Singapore Geography, Singapore History, Singapore-produced and tagged 1964, bedok corner, bedok hill, bedok south, cathay keris, comedy film, district 16, east coast land reclamation, fantasy kingdom, hdb, Katong-Bedok Bus Pte Ltd, malay film, mat sentul, mat series, mirage, pilot land reclamation, portable bus-stop, reclaimed land, seafront bungalow, seafront restauratn, singapore, slapstick, tanah merah kechil, tanah merah kechil road, tanah merah kechil road south, temasek secondary school, the silver strings, tiga suku, tin-roof bus stop, upper east coast road, victoria memorial hall, Wyman's Haven. 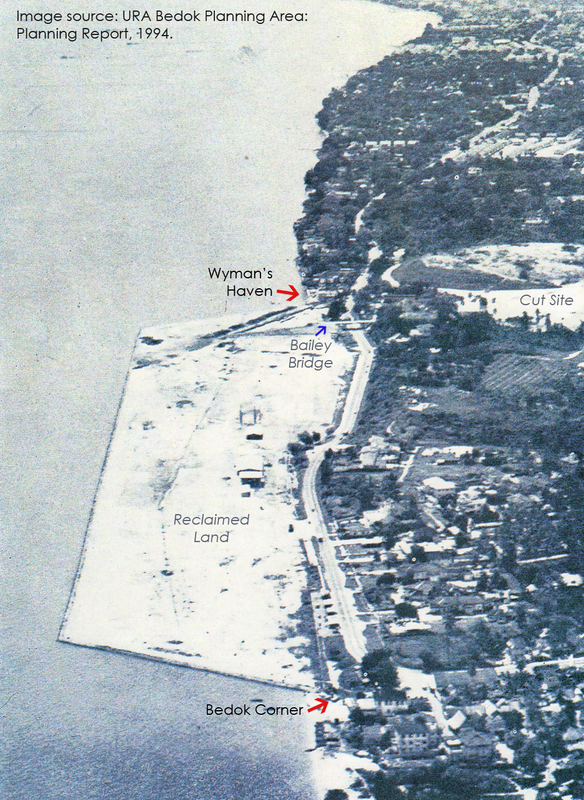 ← Destinations for Banished Beings and A Potential Site for Attempting Suicide. On the extreme left in the collage, the road sign reads “…… AH KECHIL RD 16″, so I surmise that the turn-off at the junction should be ”Tanah Merah Kechil Road“. “16″ probably refers to “District 16″ in Singapore. 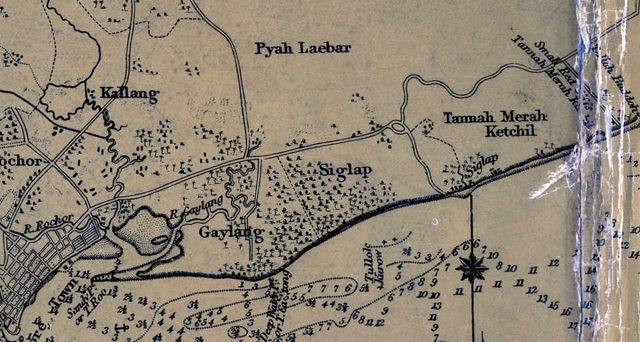 This part of the long and winding Tanah Merah Kechil Road does not exist in the maps of today, as the hilly terrain which the road passed through had mostly been leveled for the purposes of land reclamation. 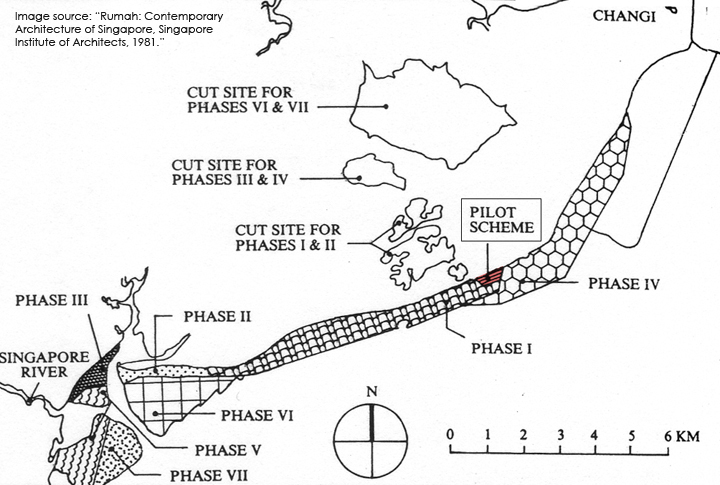 …..this was not Tanah Merak Kechil Road but rather a new track created to allow lorris from the Cut Site to tranport earth to the land reclamaiton project. I saw this track when I was young. Today of course it is Bedok South Ave 3. Tanah Merah Kechil Road starts at where there is a PUB Substation. Very interesting! I am a filmmaker and live around the Bedok South area so this is very eye-opening! Mat sentul now lives in larkin jb.. Yes. Indeed. I love his pranks on camera.